Norway is known to be quite an expensive country. Even so, it is hard to resist shopping in Norway as the quality of their goods is high. The highlight is its design pieces, often created by young local artists who have come to be recognized internationally. The best places to go shopping are in the big cities like Oslo, Bergen, Stavanger or Tromso, among others, since that is where more variety of shops there are. 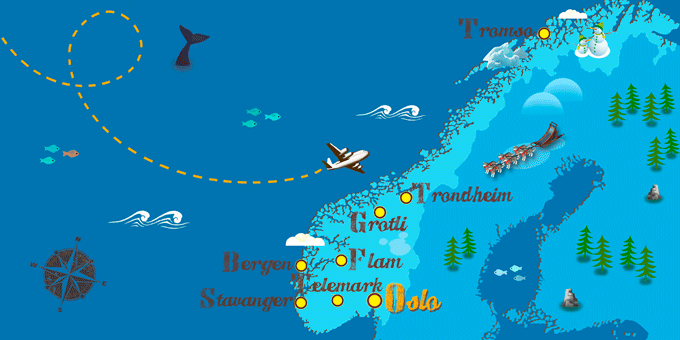 Keep in mind that in Norway there are many Tax Free Tourist establishments, this means that the prices are somewhat lower because the fees you pay in the purchase are returned to you at the airport when you leave the country.